Well, if there's actual interest, I don't see any reason why I should stop you from forming a neighborhood. The neighborhood is the Good Ship "Impudence", a well-gunned merchantman, smuggler, occasional privateer, and freebooter; and its home port of "Castillo Pato", a small town with a big name on a lonely unnamed island somewhere on the Spanish Main. It was built in Blackwell Yard in 1605, captured by a Spanish freebooter on its first voyage, confiscated by the Crown, sold to a Dutchman, and after a brief none-too-illustrious career under a series of unlucky owners wrecked near Castillo Pato and salvaged by the town. On board are a number of humans, who exist to take care of the ship and get it into trouble. The Impudence has had a number of captains, none of them particularly lucky, but since it's repairs it's managed to make a small legitimate profit... and enough under the table to keep the owners happy. The current captain is named Gifford Palgrave, and he's determined to make a name for himself and "his" ship. Well, it's 30% his, anyway. With them are a small number (maybe 10, in total) pets, and a varying amount of small livestock that has to be replaced after every voyage. The ship's cats, who consider themselves the natural rulers of the ship because they're cats. The leaders of the rats are "William Bandy" the captain of the topside rats, and "Sally Bruce", queen of the scuppers. William Bandy has a number of seagulls working for him, as scouts and spies, paid off in stolen delicacies. Back home in Castillo Pato is a handful of fishing vessels (ex ship's boats), some farms, docks, surprisingly large warehouses for such a small town, and a tavern that supplies many of the needs of visiting sailors. The innkeeper, Juan Acosta (which may not be his real name), also owns over 50% of the Impudence and two other ships and is the de-facto head of the town. He has a pet fox (the 17th Century Fox) who is the de-facto head of the animals of Castillo Pato. Last edited by Argent on Thu May 16, 2013 6:17 am, edited 1 time in total. questions. if other characters that join have to be rats? and can the characters be part of different ships other than the impudence? and last where do I sign up because I have a character sheet ready to go. Rockstar wants characters to demonstrate interest before we kick this off, and normally characters get posted in this thread anyway, so I'd say post yours here. I have a few ideas for characters but I have one quick question first so I can decide which character to use. Is the Impudence currently berthed in the town or is she out sailing the seven seas? Currently she's sailing in the mists of imagination. Do you have a preference. Does anyone? Well my character makes more sense if he's out in the wild, blue yonder, at least to start with. Appearance: “Sir” Cedric is typical of his species, with white feathers, grey wings and black face and wing/tail tips. Being a wild bird he has no collar. Personality: “Sir” Cedric is a self-styled British knight. He is rather upper-crust in his manner and often comes across as rather pompous although this is mainly a front to cover his deep-seated fear of deep water which was instilled in an unfortunate incident as a chick. Other Notes: Cedric landed on the ship when he was blown far off course by a huge storm on the coast of England. Now, thanks to his fear of deep water, he is stuck on the ship until it makes landfall, preferably in England, although at this point any land would be a nice change from the constant motion of the boat. This makes for a rather awkward situation, with other creatures constantly wondering why he doesn’t just fly away. As he won’t fly over the water, he is forced to steal pickled herring from the galley. This infuriates the cook to no end, since he can never seem to catch Cedric in the act, despite Cedric not being as young and sprightly as he used to be. Also, the ship’s captain is convinced that the cook is stealing the herring for himself since the captain hasn’t seen Cedric yet and refuses to believe that a gull could be this far from shore. It amuses Cedric to maintain this deception. Cedric constantly has to keep a sharp eye out for the cats who think that gull would make a nice change from eating herring and rats. As such, he has formed a wary alliance with both rat colonies despite this causing friction between the rival factions who believe that he should be their asset alone. I have an idea for the start. How about the impudence battling another pirate ship this way my charecter can be captured with his owner. Then roo's character joining in after. Ill have he CS posted in about half an hour or more. A roo? Dirk Hartog's just gotten back from Shark Bay, and I don't think any European will see even a description of a kangaroo for decades yet! 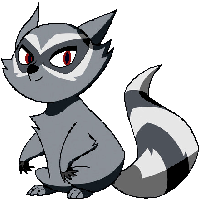 Appearance: Blacks is pure black by fur except for the red coloration at the end of his tail where silver would be. He has a black pirate cloak from his previous owner cut to fit him. sometimes smells like gunpowder. Personality: always full of fun, knows right from wrong but will many times do the wrong thing for the heck of it as it is in his pirateing nature, he loves to drink rum and other drinks and will chat with just about anyone. He'll join in on anything and talk or gamble and have fun. its not until actually working he's very serious or so. Other notes: Blacks holds a secret he's never shared and carrys his own tools and weapons, he has many skills in pirating and uses them as much as he can. He also carries a short cutlass, a dagger, and a small pistol. Last edited by Hotep the psychic on Tue May 28, 2013 10:34 am, edited 2 times in total. Pirate ships are predators, they don't tend to attack other predators. Black's owner could be captured from a merchant ship, if they're either worth ransoming or someone known by reputation by the Impudence crew to be reliable and unlikely to betray them. Well ill make it your choice im keeping my charecter as so. I'll just-a sit-a here and-a twiddle-a my thumbs, eh. If the Spanish Main doesn't work, I can always go back to plan A and the Queen's mouseketeers. That would be fun too. I read "The Three Musketeers" recently and quite enjoyed it. I can never think of the Musketeers without thinking of Albert the Fifth Musketeer which was a French/Canadian cartoon from the 90's. Anyone else remember it? I will help in the efforts! A short furred cat who's fur is an inky black. He says he's born from some royal family of cat, but his appearance points towards anything but. He's on the skinny side and his fur is disheveled around the head and chest area. His whole body is black besides his left paw and the tips of his ears. His eyes are an eerie shade of bright orange. His right ear is torn and he has a scar across his left cheek which he claims he got from fighting off a swarm of rabid rats. Around his neck is a makeshift twine made collar and hanging from it, is a simple brass key. Also on him is a simple brown, leather belt with a holster that hangs around his waist, which holds an old fashion flintlock pistol (he always makes sure its an arms-length away). Besides that he wears no other articles of clothing (he sees it as demeaning and feels it restricts his movement). Most people aren't sure what to make of Jin, other than the fact that he's a member of the Impudence crew and his job is to catch mice (among other catlike jobs on board) not much is known about him. And he prefers it that way. After the first twelve times he's explained his origin (all of which vary from being raised by the royal family of England to living the harsh life of an alley cat along the Portugal docks) people have stopped paying attention to his tales of the past. He takes a small delight in mystifying and confusing people when it comes to himself (though when pressed he gets irritated). He has a calm air about him that is usually interpreted as a sense of optimism. He takes no joy in dealing harm to others, and he is happy to help those in need. Any physical confrontation is out of the question, though he's a pretty good shot when it comes to guns.Jin's main job on the ship is to catch mice ( a job he prides himself in doing), though he usually enjoys a nice chat in exchange for an extended life. What Jin lacks in physical strength he makes up for with agility and a silver tongue (something he uses often to get his way). He's a mystery with an unknown history (which actually isn't very interesting, ...not that he'll admit that to anyone). He has been a crew of the Impudence for a year or two now and is accustomed to the life at sea. One of the things he loves doing is hanging out in the crow's nest in his free time. S - 4 "I always make sure I bring a gun to a fist fight. ...not that I plan to use it." P - 7 "Once the queen said that I had the ears of a- hey, guys! Come back! I swear this one's true!" E - 6 "Just... *huff* lemme catch my breath for a sec..."
C - 8 "C'mon, trust me on this." I - 5 "In my line of work we don't read much... (thankfully)"
A - 10 "I swear, I could make those turns when I was a kit"
L - 2 "Look... just... don't ask..."
Last edited by Roarin on Tue Jun 25, 2013 12:41 pm, edited 4 times in total. I'm going to be contributing a character to this too, but not until much later tomorrow. It sounds like a nice neighborhood, but I'm not a big fan of mice or cats so I may or may not try to join. what species' can fall under the scope of "crew's pets"
I'd like to know all of my options before making a character. is this a regular RP or an SRP? And is magic allowed or not? If there's any magic, it'll be of the unlikely coincidence to move the story along kind. It's going to be hard enough keeping track of 17th century reality. Pets are going to be of the easy-to-take-care-of kind you'd expect on a wooden ship in the tropics. Apart from traditional dogs, birds, and monkeys it's actually pretty wide open. Anything that might be picked up in Europe, South or Central America, or Sub-Saharan Africa. Maybe Indian, if you really want to play Rikki Tikki Tavi. No Far East, nothing exclusively found in North America away from the Gulf Coast, and definitely no Australasia. Nothing big or hard to keep fed, and nothing that's likely to kill people accidentally if it gets ticked off: lions, tigers, bears, hyenas, wolverine, and honey badger are right out. Are otters ok. They can swim and can be on the ship. That leads into this post, nice timing. Pure herbivores are going to have a hard time if the ship gets becalmed and has to go to hard rations. Though that's going to be about the only time they'll be able to try fishing... these boats generally move too fast to fish from. Even for an otter. Obligate carnivores like cats and mustelids are going to be eating rats, that's their job, and even human rations are going to be short in nutrients. From the point of view of the rats, they're villains. Animals with really exotic requirements are right out. Forget about insectivores. 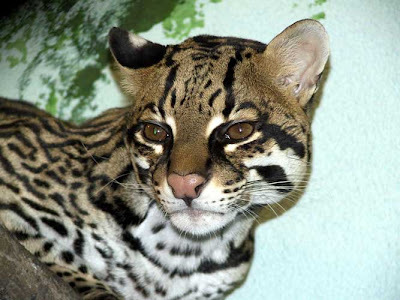 Ocelot is possible, but it'll be like playing a ship's cat. Last edited by Argent on Wed May 15, 2013 7:26 am, edited 2 times in total. Well, that brings up a tough choice. I think I'll do the otter because I can fish whenever the boat stops, and even if the boat is moving, one can still cast a rod out to fish. I know this because I go fishing alot in the ocean during vacation there are fish that will follow and bite the hook. So I myself wouldn't have to fish even if it is more productive. *google google google* Nope, still no idea. Maybe super RP? With superheroes? That's not what we're aiming at in this RP. Appearance: Typical for a brown rat, although he’s slightly smaller than average. Personality: Young and headstrong, Tack was elevated to Sally’s second in command after the previous one was eaten by a ship’s cat. His position gives him power and he knows it and wields it as he sees fit. Used to getting his way, he is abrasive and cheeky to everyone, including Sally, and he secretly aspires to the throne. Sally takes it in her stride, however; she knows he’s no match for her in an all-out fight. That doesn’t stop her keeping an eye on him via her spies though, just in case... Despite his less-than-average stature he’s a vicious fighter and usually wins due to his speed, cunning and penchant for using dirty tricks. This allows him to bully many of the other, bigger rats into following his orders – hence the reason he was chosen as Sally’s number 2. Last edited by Hlaoroo on Mon May 20, 2013 9:40 pm, edited 3 times in total. so, is there a slot available for one ocelot on that ship? It's all slots, all the time. So we got a topside rat and a scupper rat, that's going to be handy! Even so for the many limits for animal play youd have to think more towards animals of that century. For instance england was starting to have bulldogs and trading them too spain. Also theres the wild amimals likke foxs, rabbits, birds, and etc. Im with roo on this too so ill have a second charecter soon. It seems we still need a cat to antagonise the rats so an ocelot could certainly fill that slot. Argent? Hmm my charecter fills as alot of things i dont know where hed be, but what about a pet for the cannoneers? Or the cabin boys? Are we talking Blacks or your second character? Their position will vary according to the characteristics and abilities of their species. The only animals that are "out" are the ones outside the known world as of 1615 or so, or ones that are too big or dangerous to be pets. The animals also double as "ships boys", because they got thumbs, you know. Everyone works. Easily described as a typical member of his species. Although might be mistaken as a slightly larger cat, he’s obviously not one. He has piercing yellow eyes and natural black sports of fur around them. Generally nice and very calm. Very hard to anger, but once he’s been ticked, he becomes as vengeful as he can be, though he’s easy to forgive. Likes to stare at the sea. Permanent Amnesia. All he remembers is that he was on a raft in the sea, given away all hopes when picked up by a boat. Very skillful fighter and hunter. Very agile. Good flute player and quick learner. All I need now is to pick up a name for him, but I think the sailors will have a better luck with that, if you get what I mean. Last edited by The Moon Howler on Wed May 15, 2013 10:37 am, edited 1 time in total. Cool. So we now have 6 characters from 5 players. Going well so far. I don't know about that, but I suspect I'll be more of a "nudgy" GM than a "let it roll" GM. Also, expect narrative timeskips past the "long boring days at sea" to the "OMG we're gonna die" bits. Soft brown furred, with a lighter patch beneath his chin and throat. He is very skinny and agile for most otters. On his Right eye he has a black circle surrounding it (Looks like and eye patch). He wheres a bandana on his head. (Flower patterned). Carries a Rifle on his back and small throwing knives on his red belt. Tiki used to be a rogue, with no owner, that wouldn't hesitate to fight or kill. He stole from people and killed to get what he wants. Although when the love of his life was lost to a vengeful enemy, he felt sorry for all those he killed and or have stolen from, and decided to stop. He has since been hiding his violent nature, which only comes out during tragic emotional events.When he met Jack, his owner, he discovered the many wonders of sea life and being a pirate (Treasure), He joined Jack on the "Impudence". A. Plays the world's smallest cello. B. Can Swim very fast and long distances. Uses this to get close to other ships without being noticed. Last edited by LovingCorgi on Wed May 15, 2013 7:49 pm, edited 3 times in total. Sounds good. According to my quick bit of research, lifespans for otters typically range from 5-17 years (in our world) depending on the species and your source of information. They can begin breeding at about 2.5 years. So I guess age is really up to you. If you double the lifespan (which seems to be the norm in the HP! style worlds 10 years may be anything from middle age-up. It's certainly not going to be young anymore. 7 from 6. How many more do we need to start this thing going?